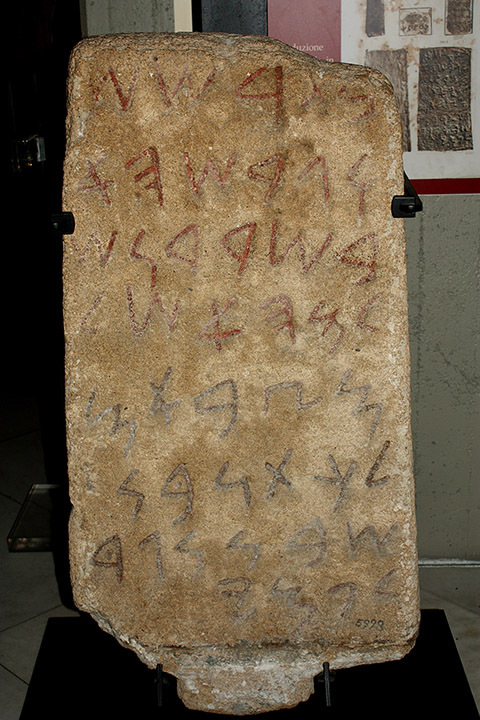 The c. 9th century Phoenician inscription on this stone locates the toponym Tarshish at ancient Nora, on the southern coast of the island of Sardinia. The Nora Stone is currently curated by the Museo Archeologico Nazionale in Cagliari. Photo reproduced and licensed with the permission of the photographer, who prefers to remain anonymous.